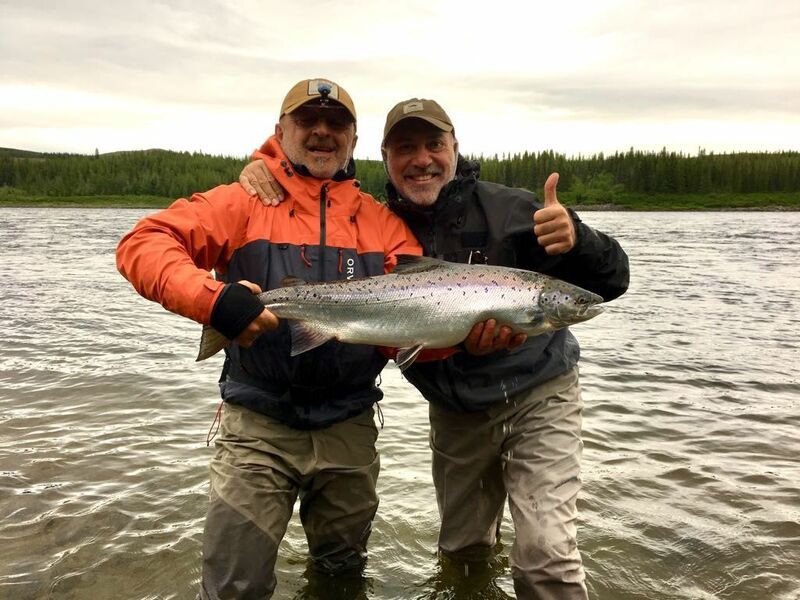 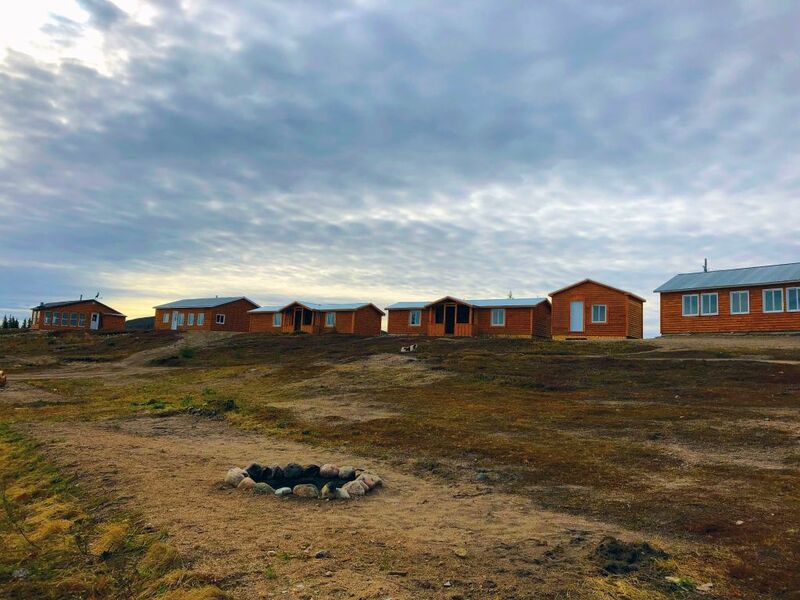 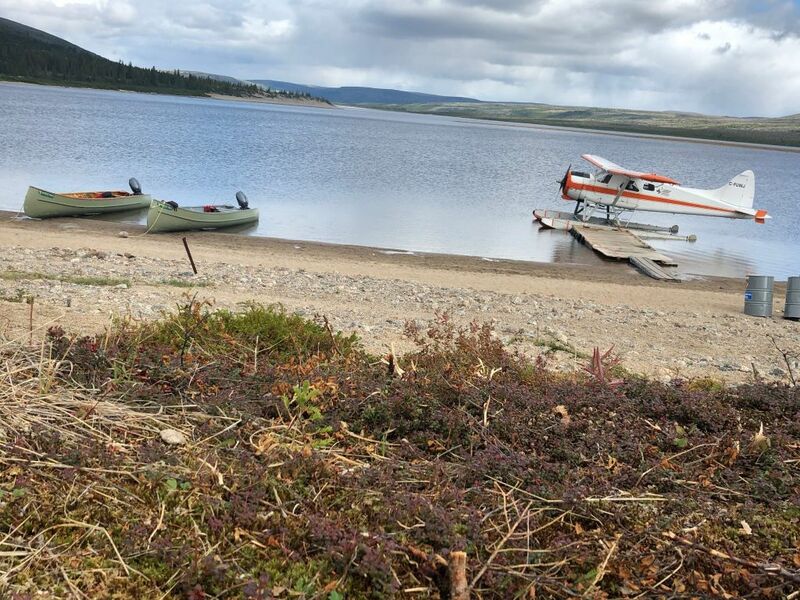 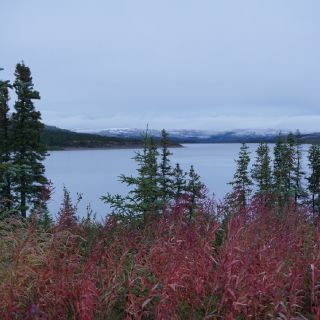 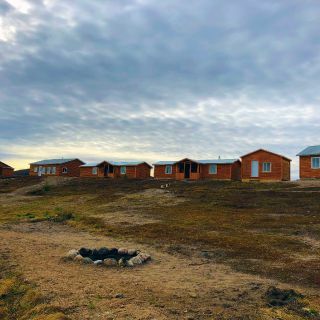 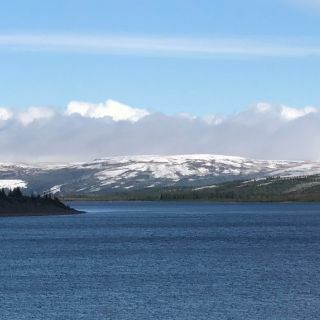 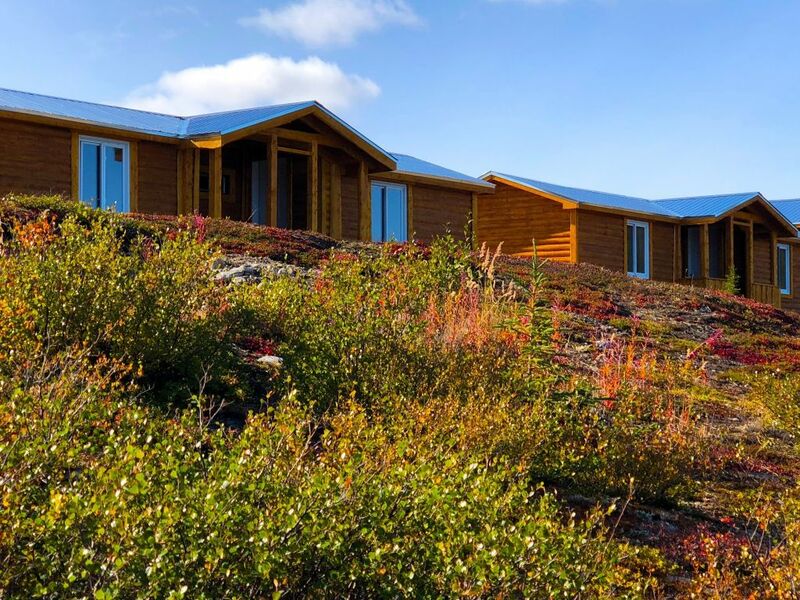 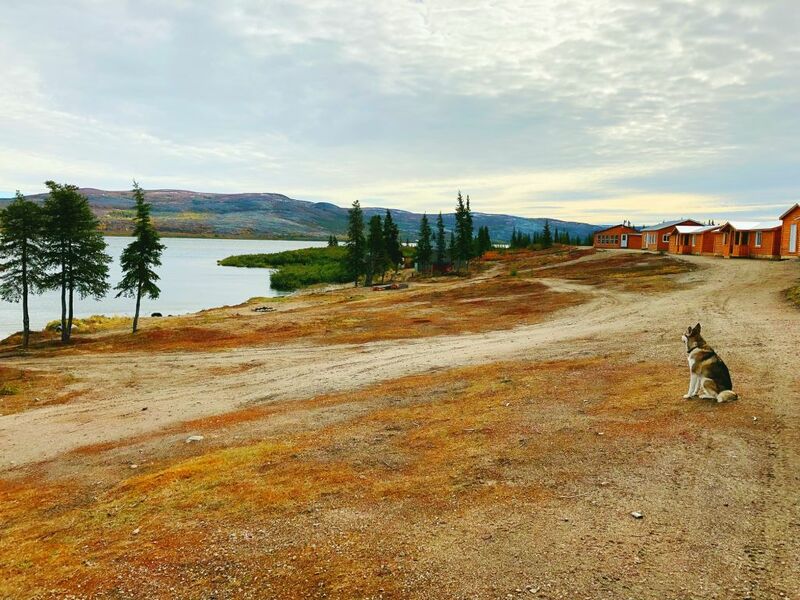 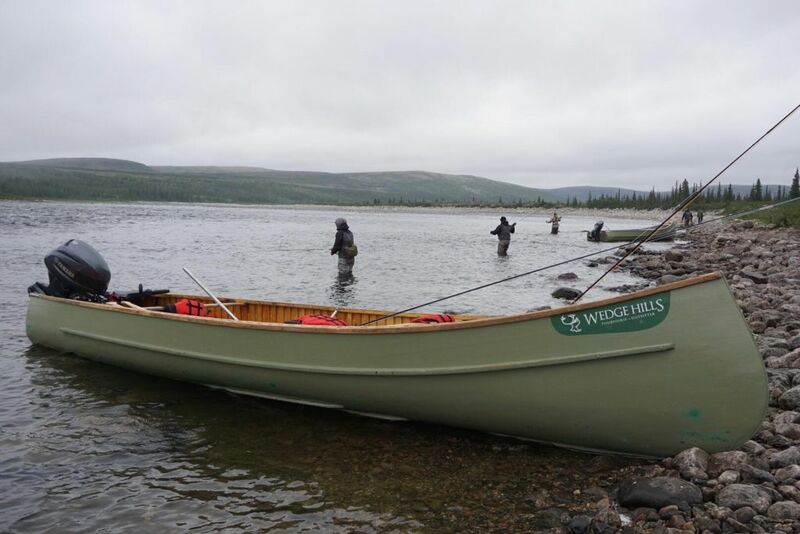 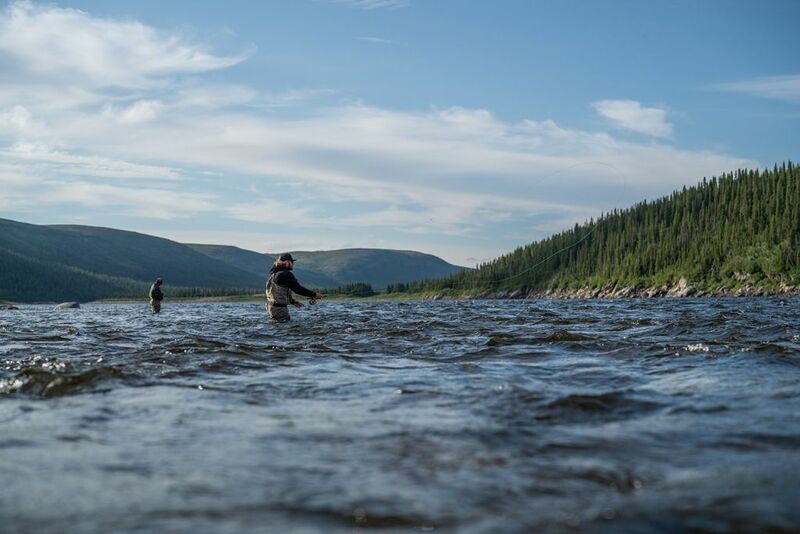 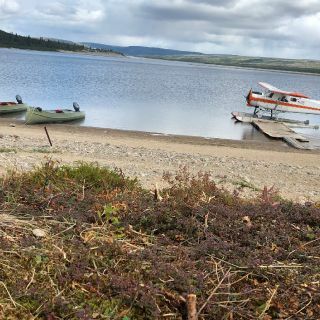 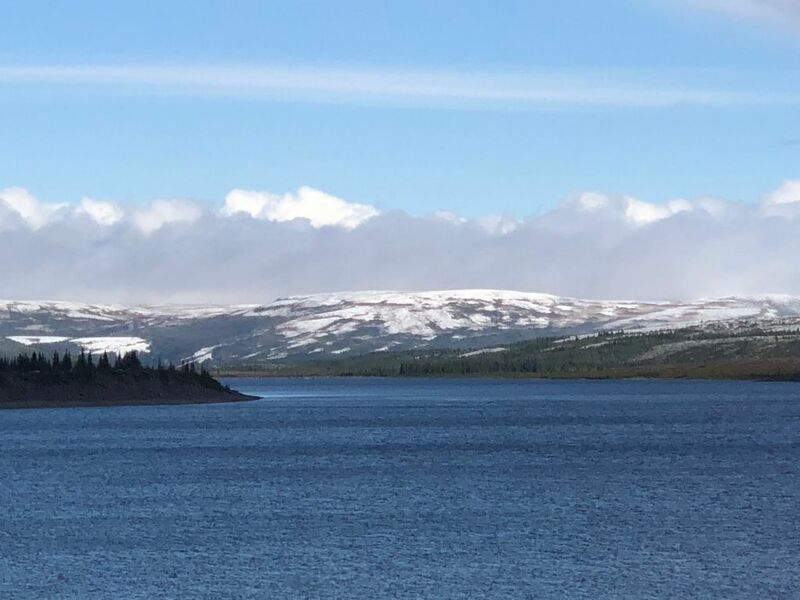 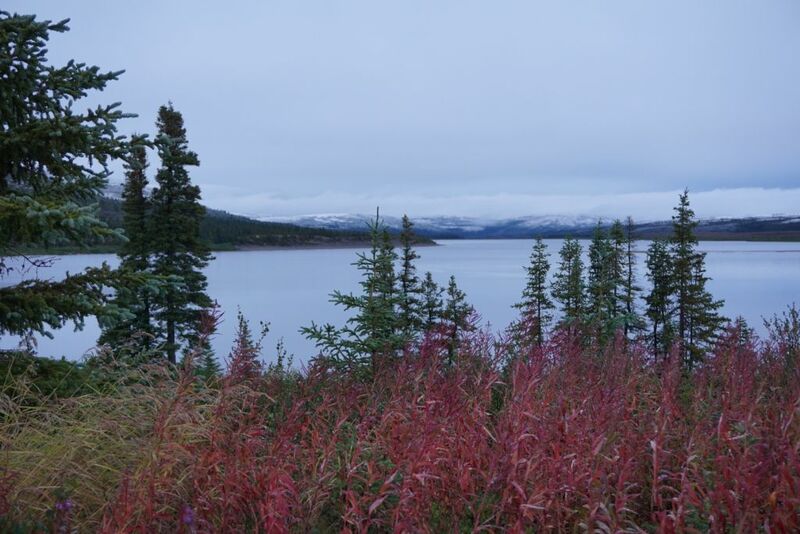 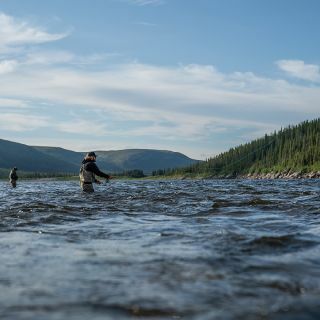 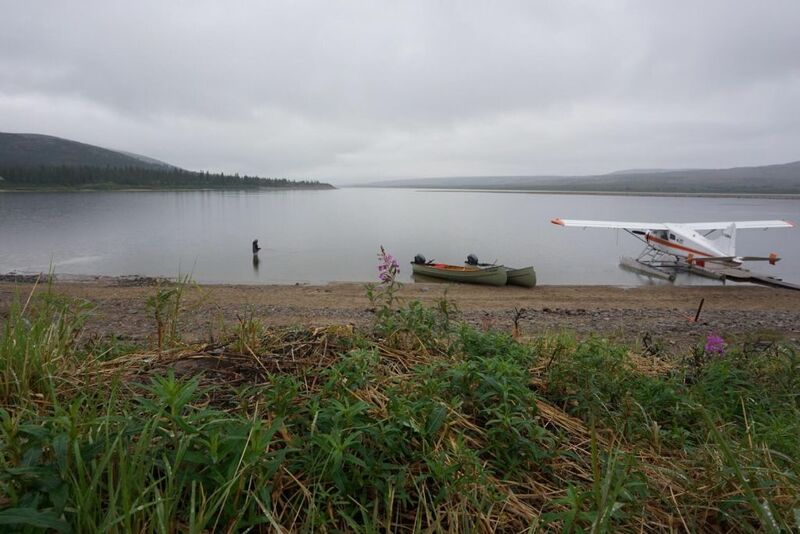 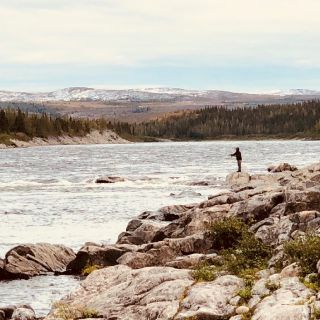 In the heart of the subarctic, just above the 57th parallel north in Nunavik, Quebec, Wedge Hills Lodge sits perched on a hilltop overlooking the majestic George River - a waterway well-known for its fantastic Atlantic salmon and brook trout fishing. 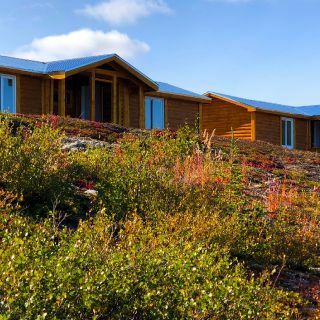 The location is the main attraction - far from the bustle of urban life, and right in the middle of breathtaking landscapes, home to wildlife species found in only a few rare corners of the earth. 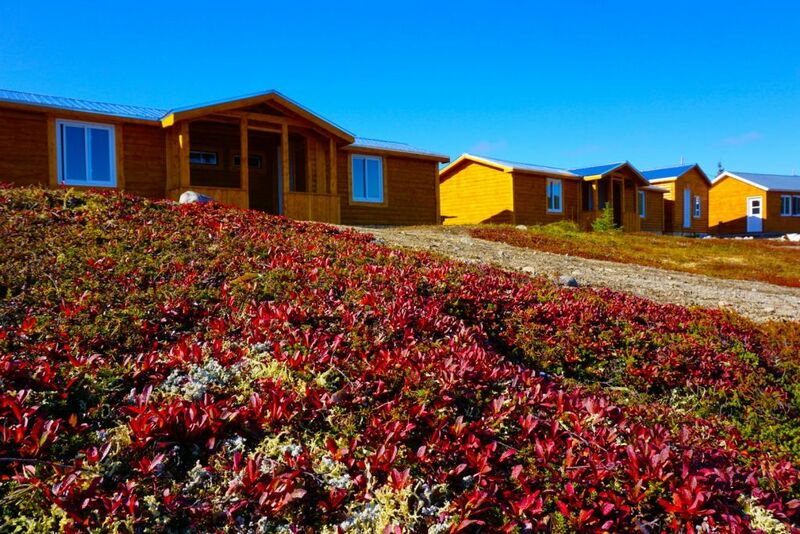 The lodge offers a private getaway of northern charm for guests to enjoy. 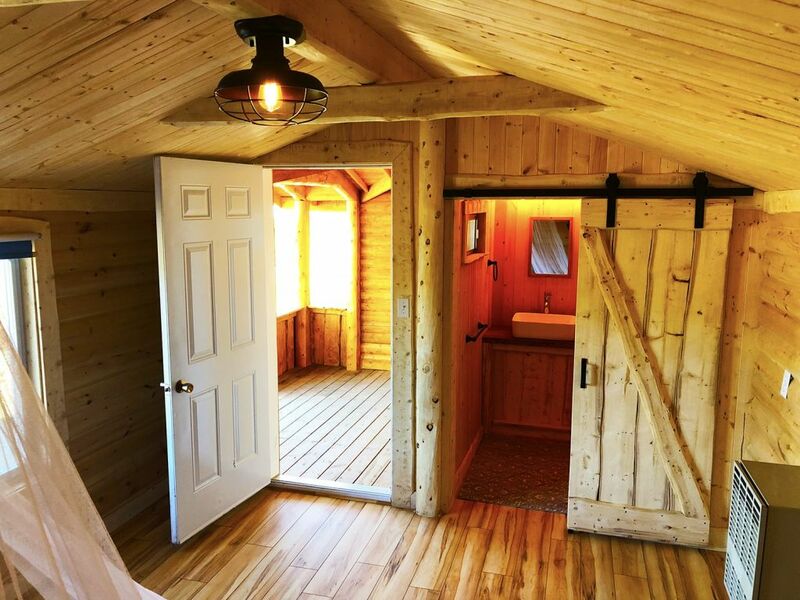 In addition to private, well-appointed log-style cabins, guests can enjoy a wood-burning cedar hot tub for a truly relaxing experience under the Aurora Borealis-filled sky. 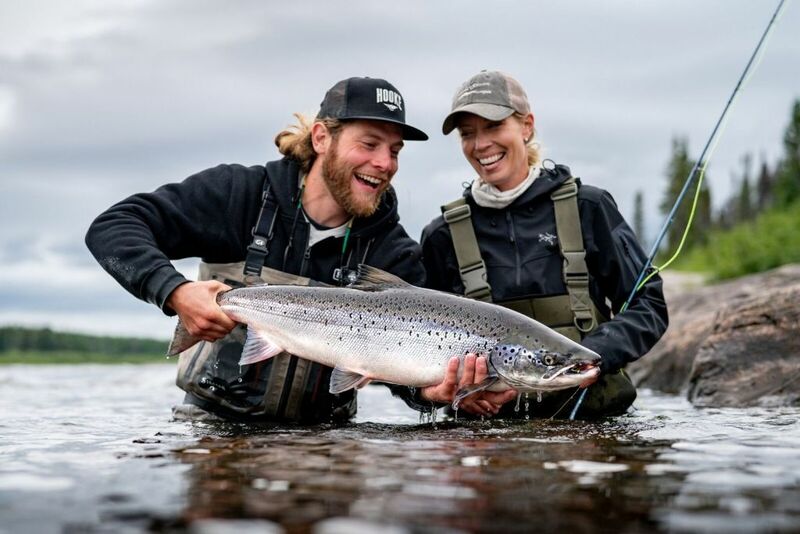 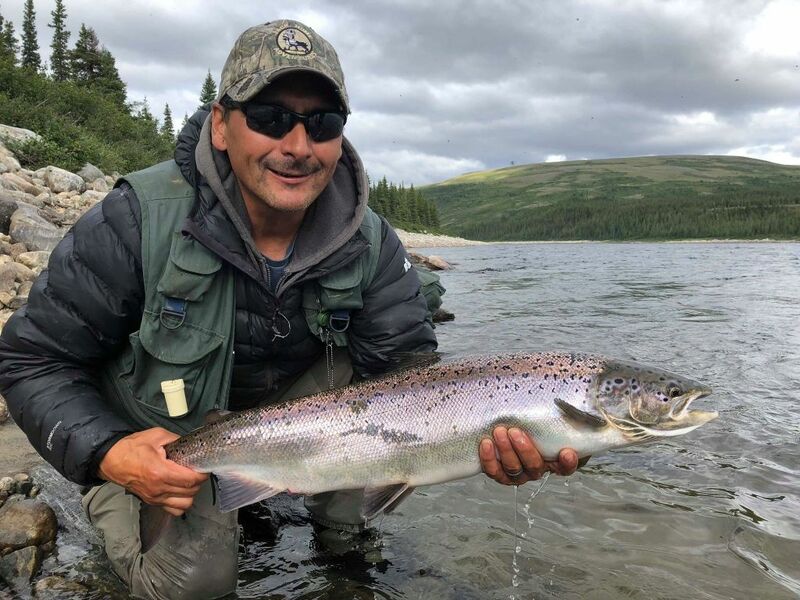 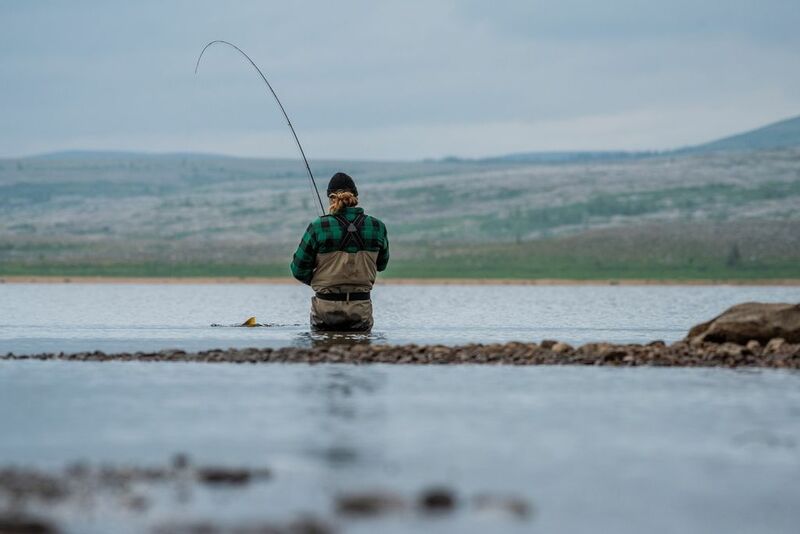 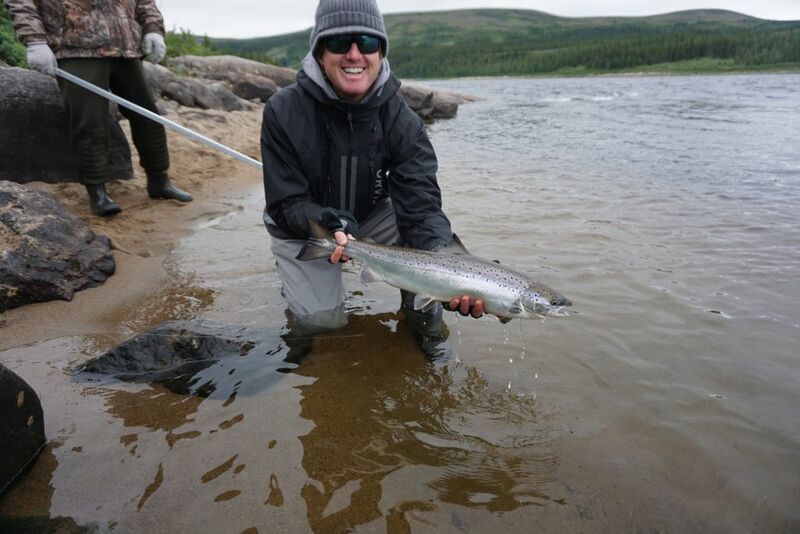 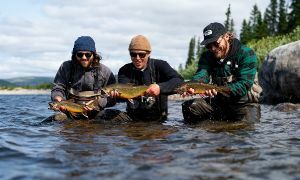 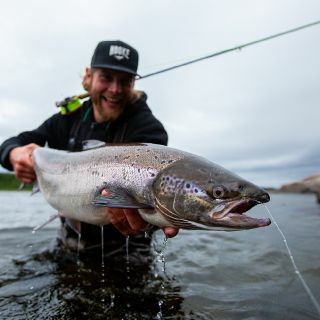 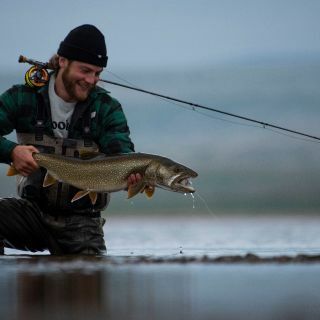 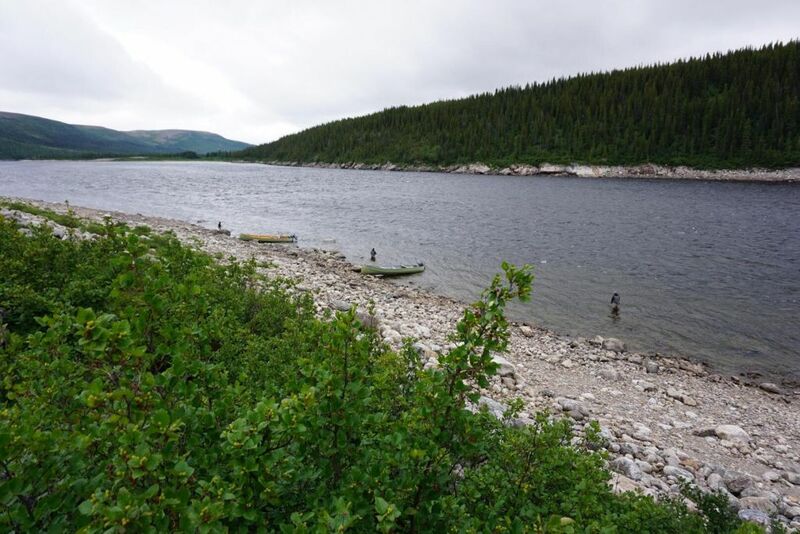 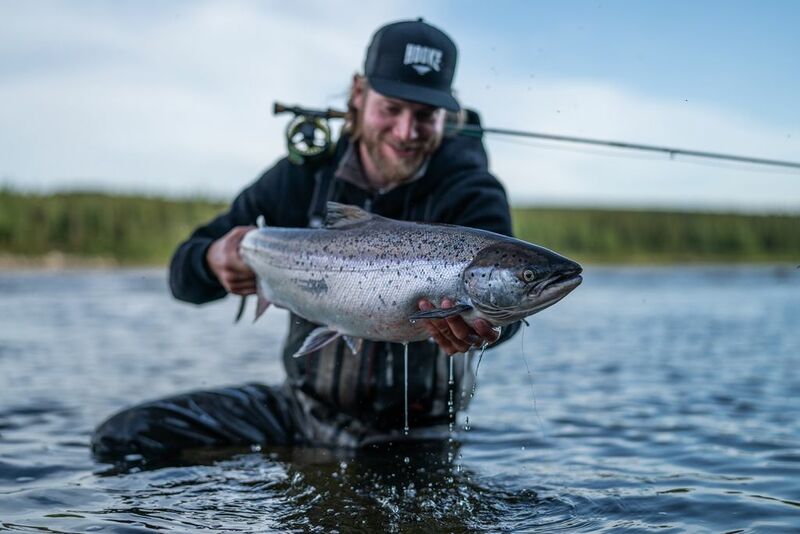 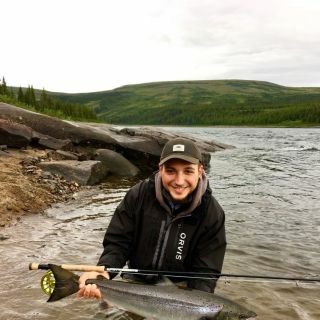 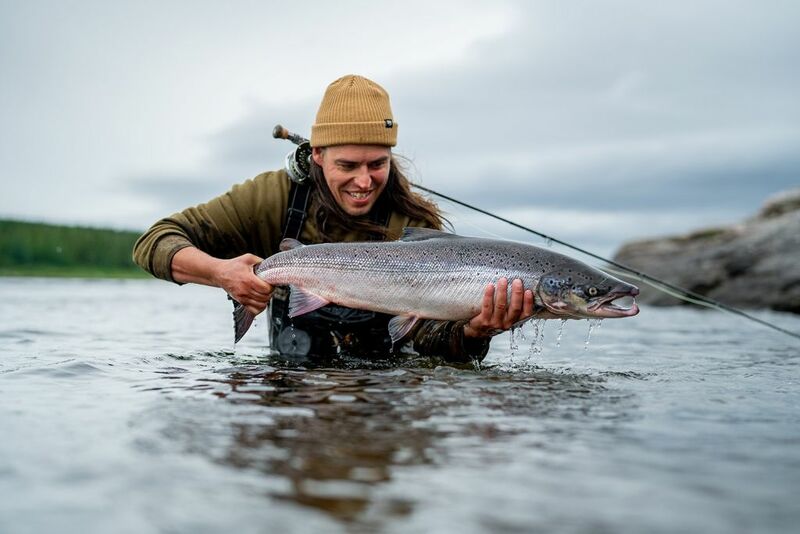 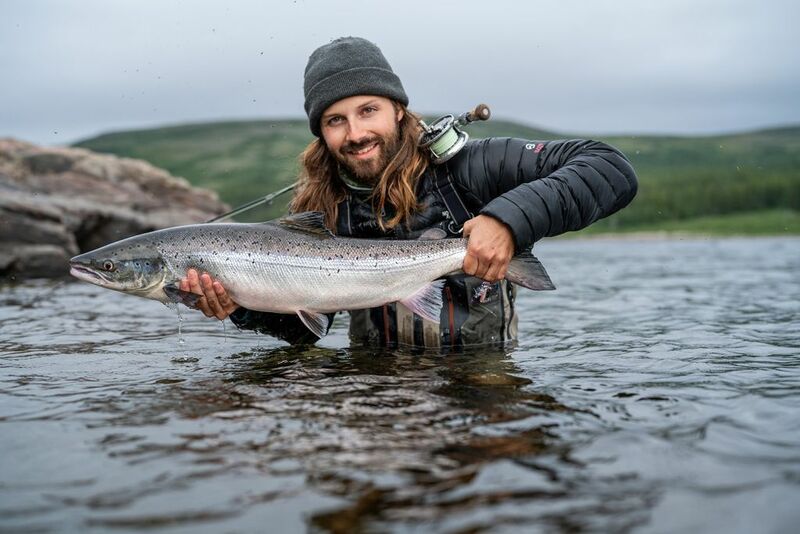 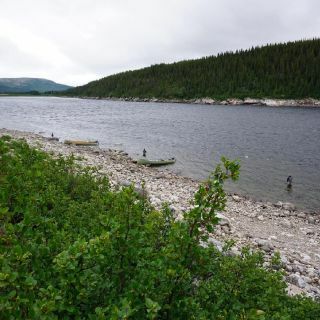 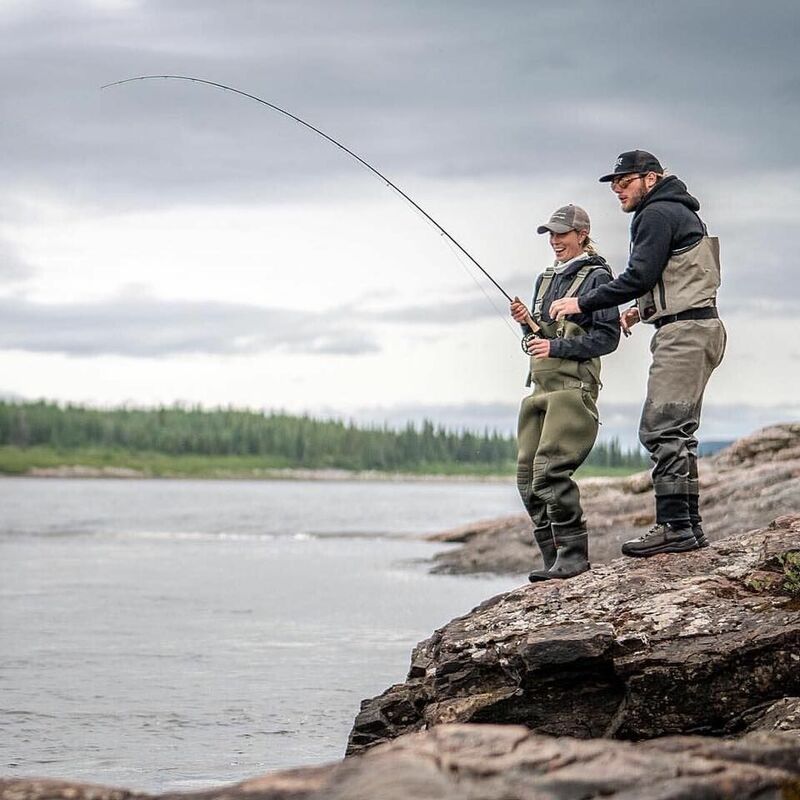 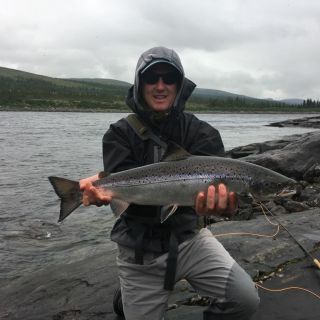 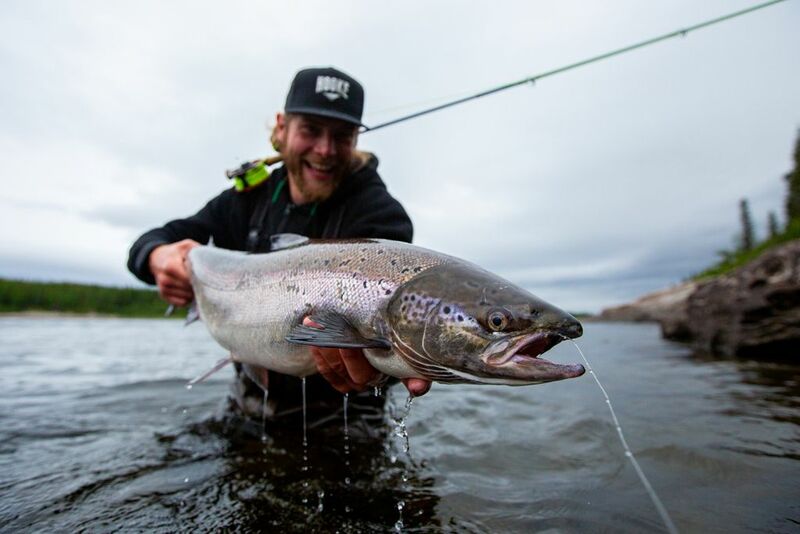 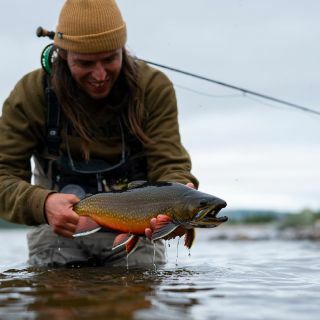 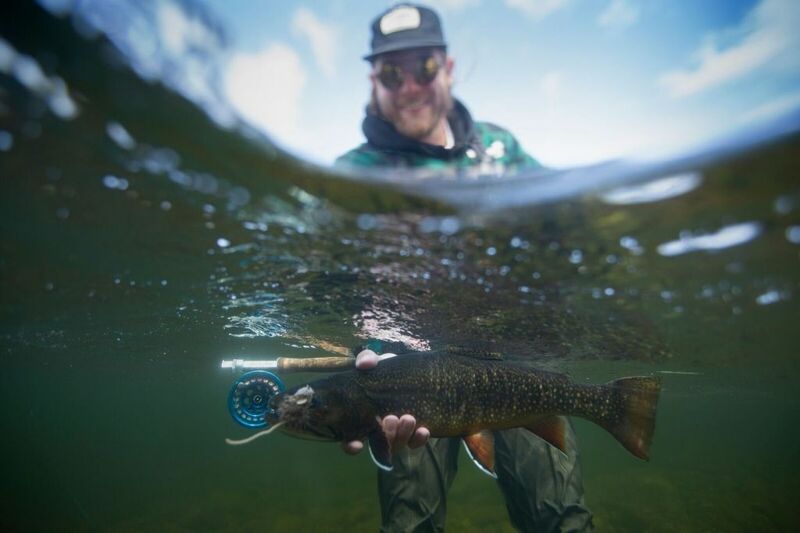 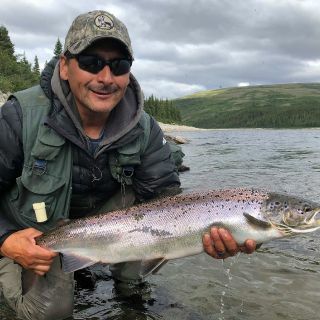 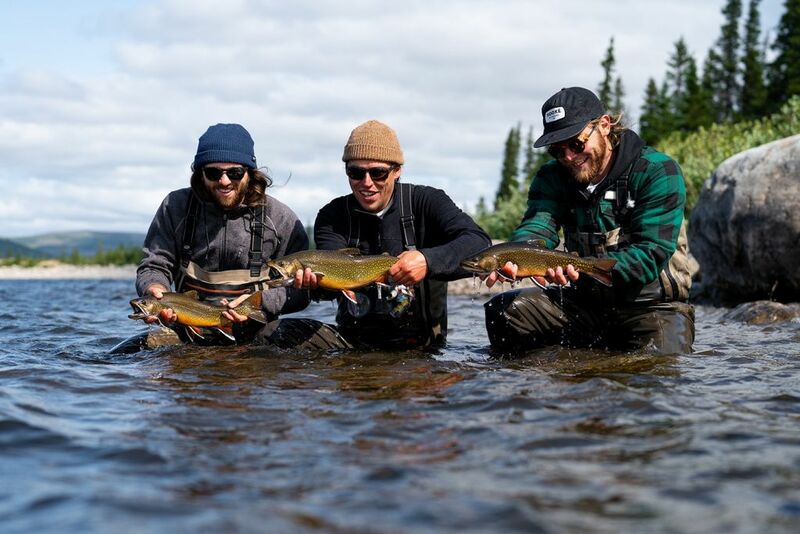 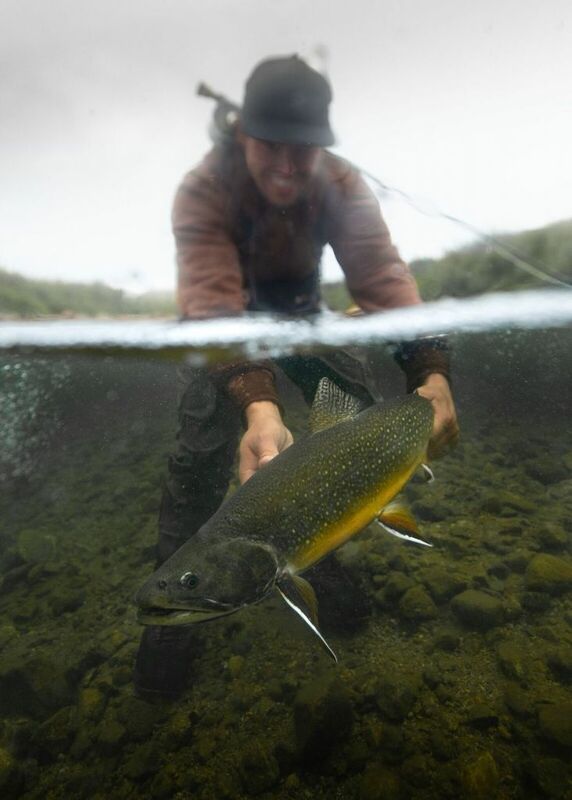 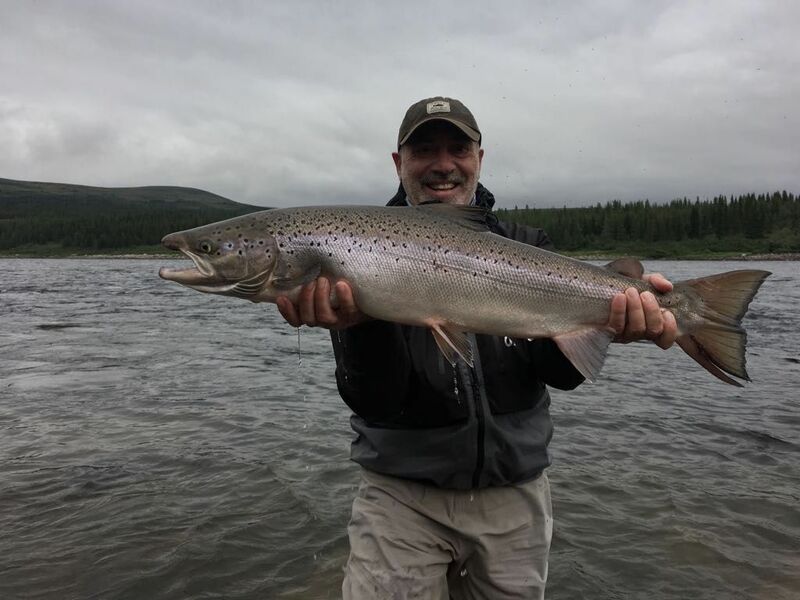 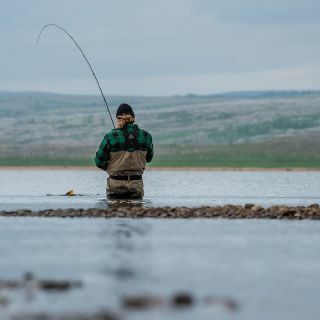 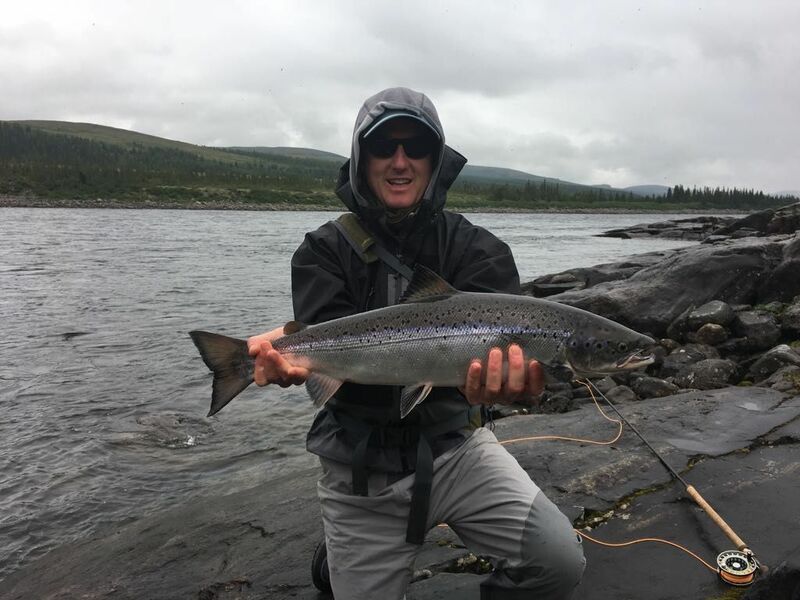 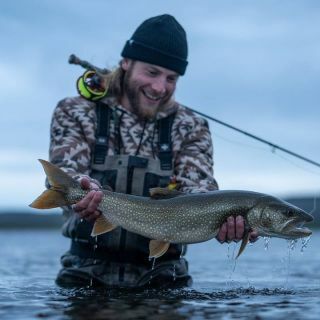 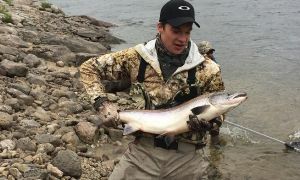 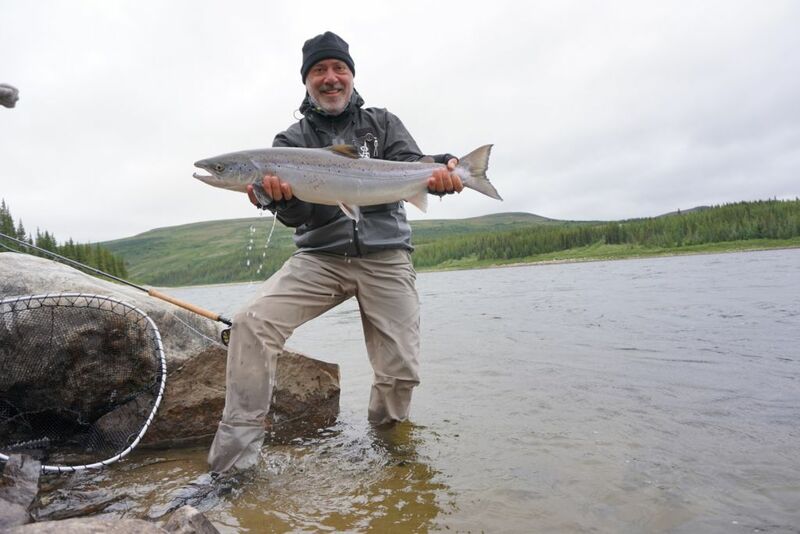 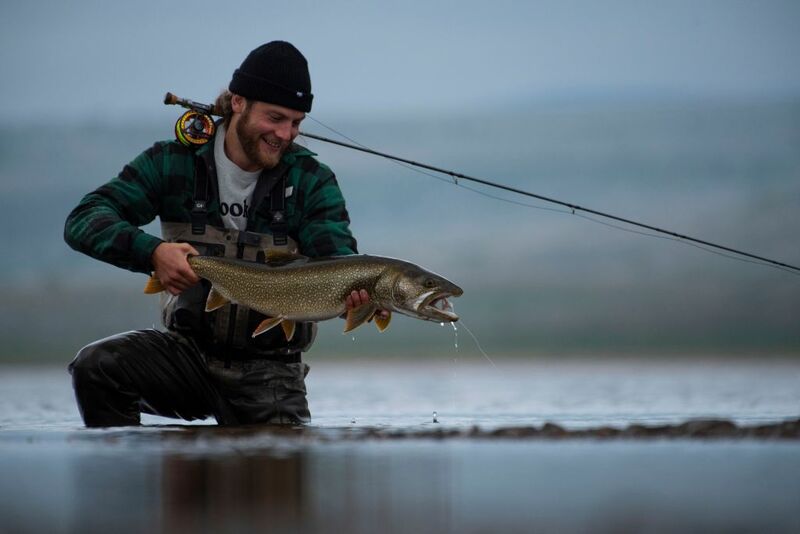 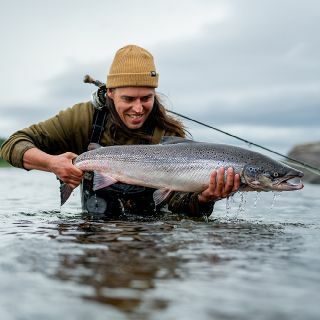 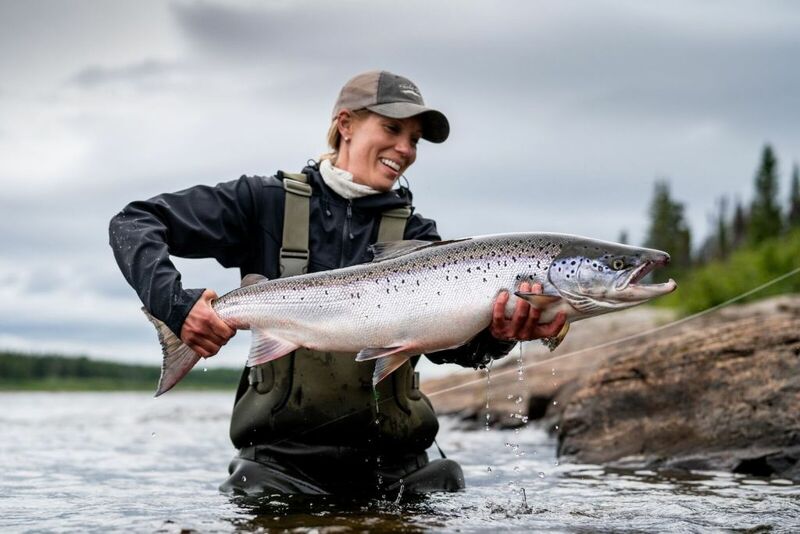 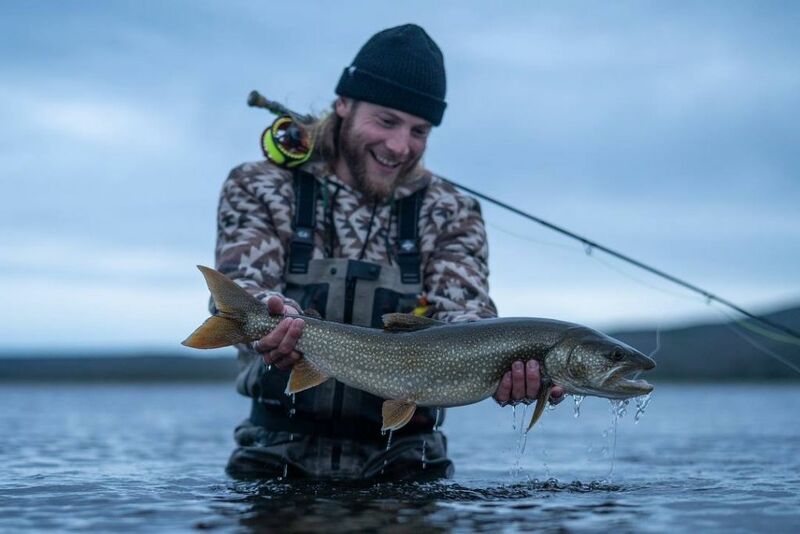 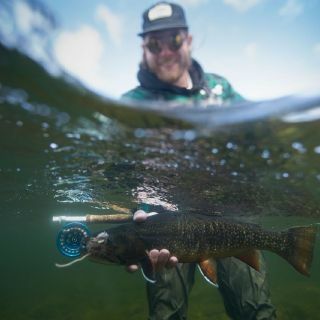 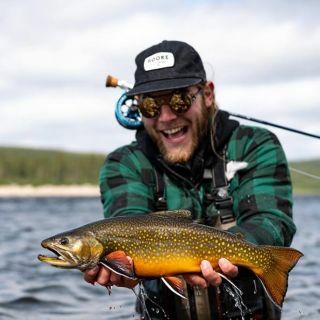 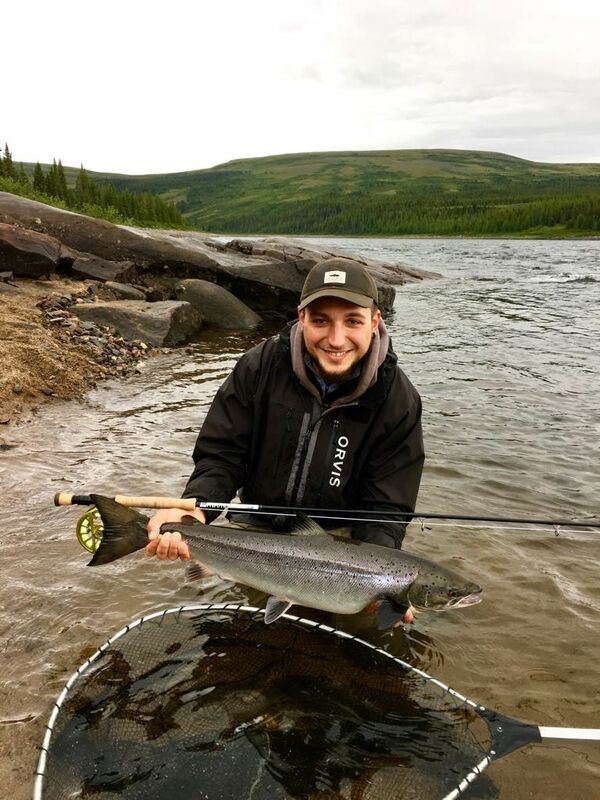 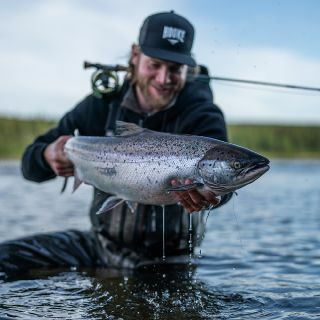 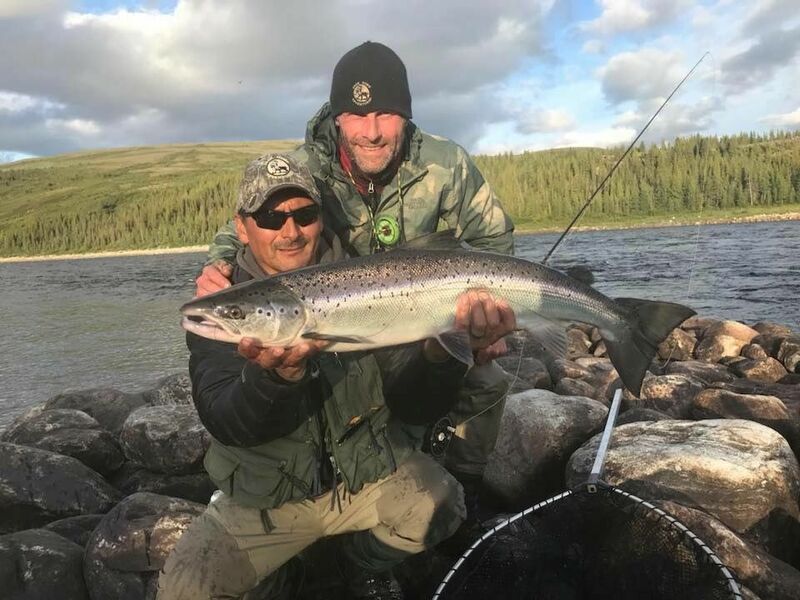 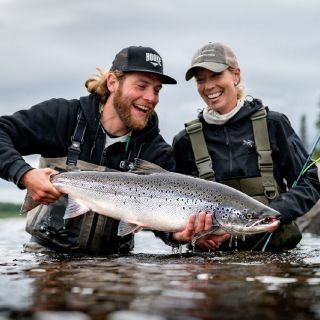 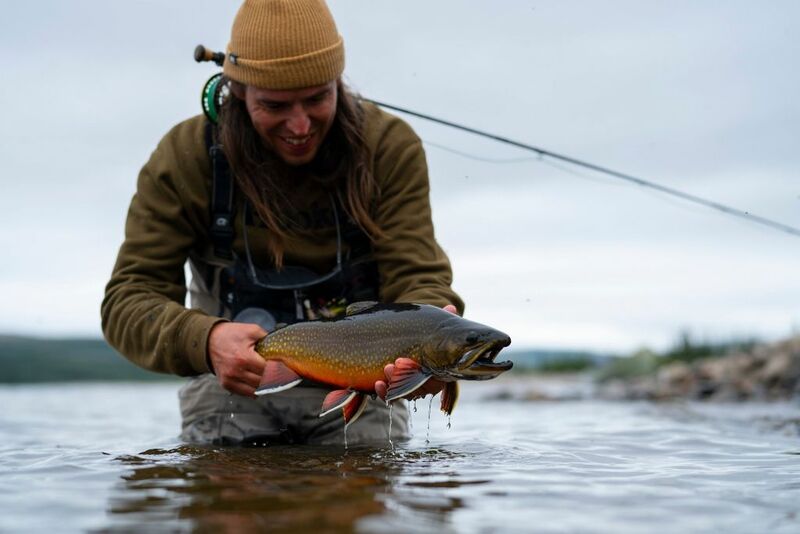 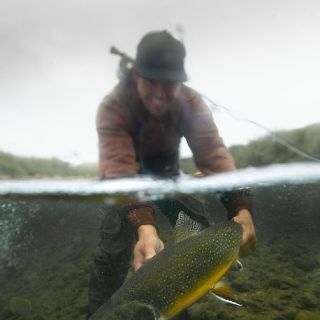 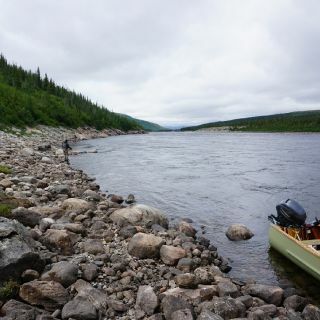 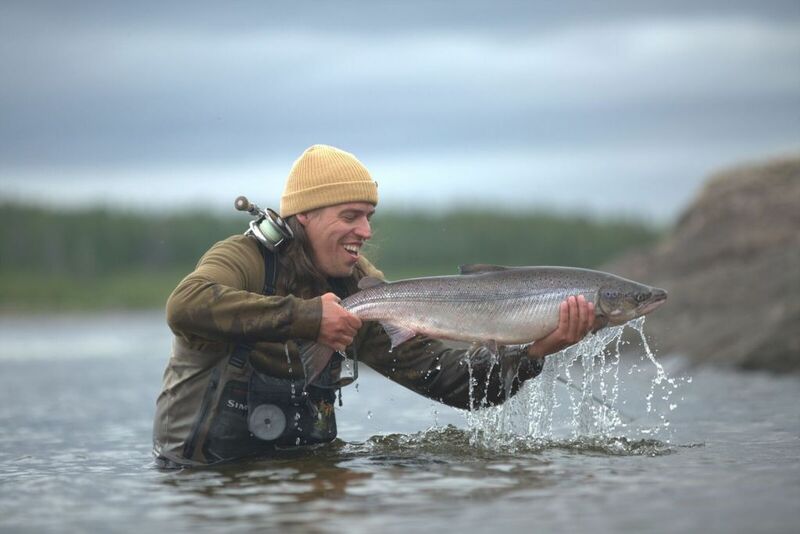 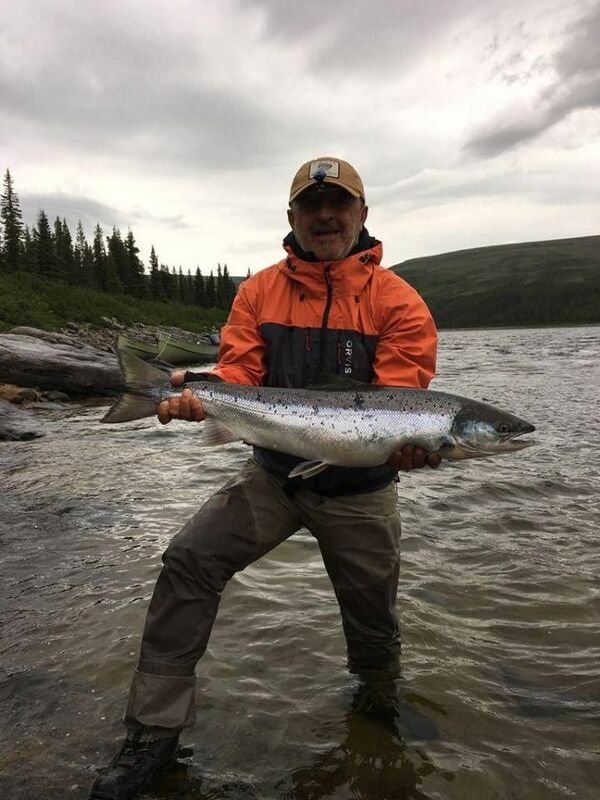 In addition to Atlantic salmon fishing, you can also fish these cold waters for other popular species that abound and reach unparalleled sizes in the vast north such as landlocked arctic char, brook trout, lake trout and northern pike. 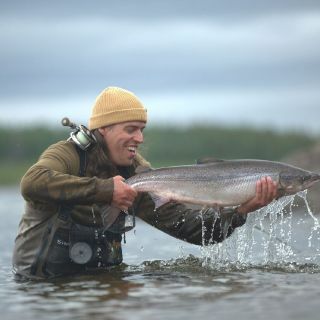 Over the years, the George River has become one of the world's most famous rivers for Atlantic salmon fishing. 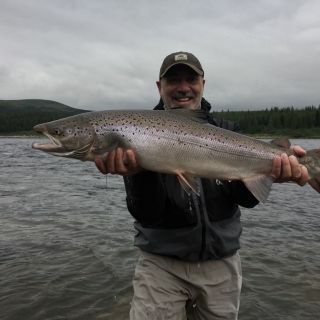 With average daily catches between 10-20 lbs (reaching over 30 lbs in some cases! 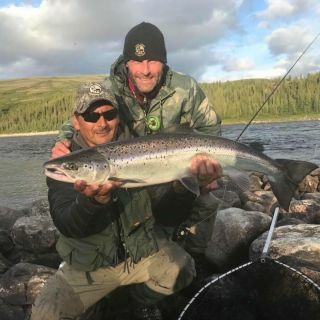 ), and access to 30 mile View more...s on one of the most virgin and wild river systems in the world, the territory offers an unforgettable adventure to even the most experienced of anglers. 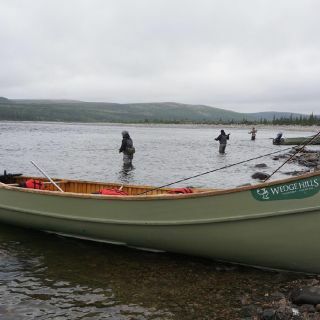 Guided daily outings to different fishing pools by 22' freighter canoe with 30 HP jet motors is an experience in itself. 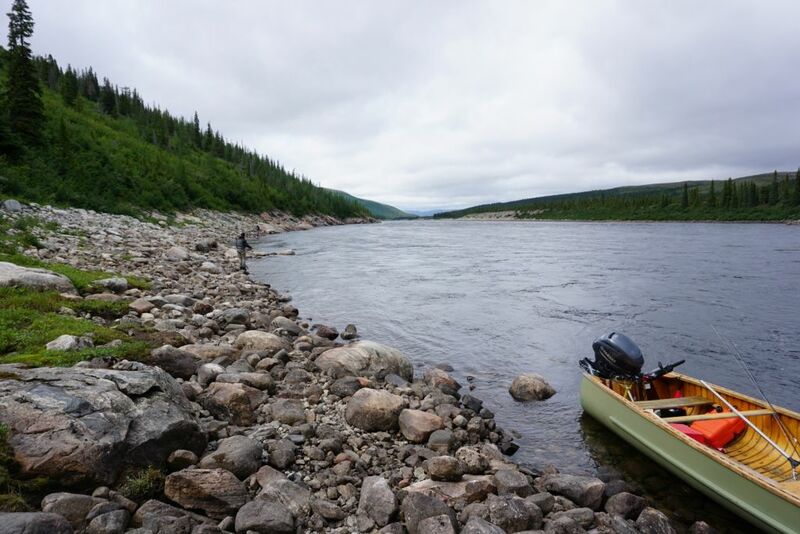 All guides have extensive experience on the water and in navigating the rapids to ensure clients' safety. 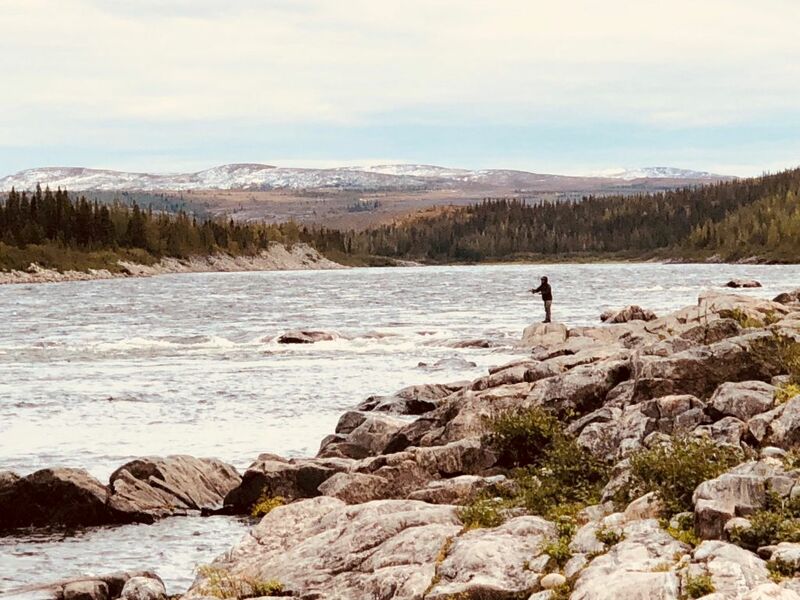 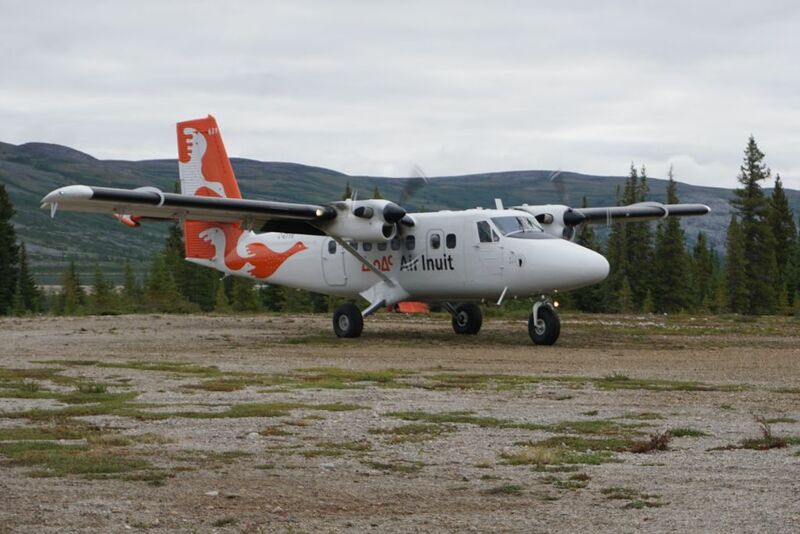 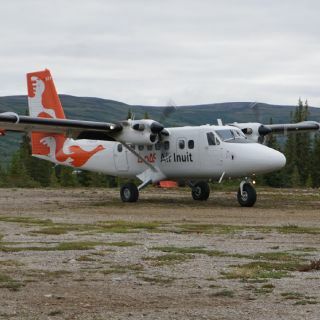 To enhance the experience, migrating caribou from the George River Herd and a large number of black bears can be seen while traveling the river. 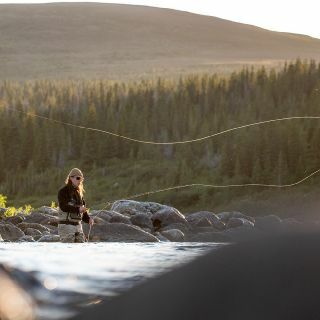 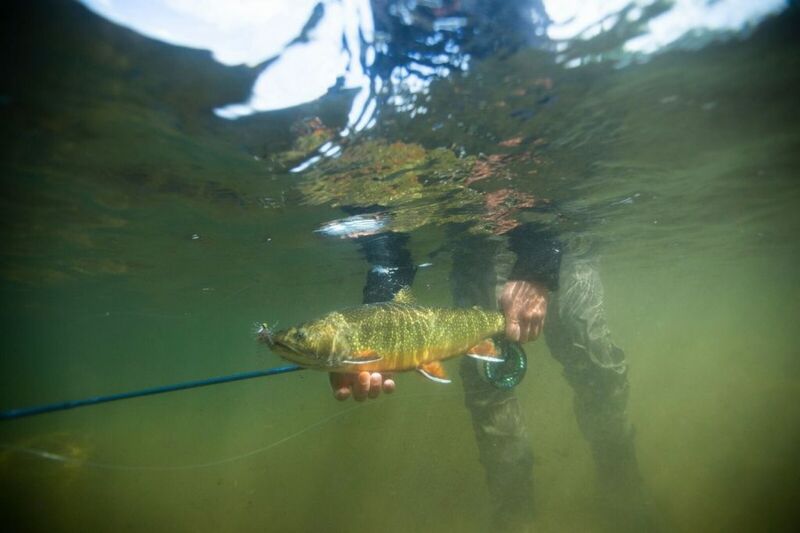 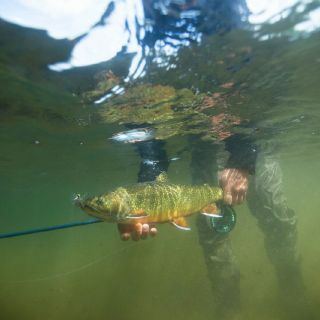 Anglers can enjoy a fresh trout shore lunch or an evening dinner, however, we encourage catch and release best practices for all species in order to sustain these precious resources for future generations. 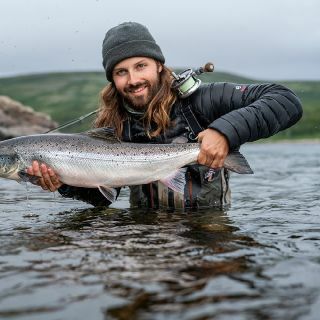 Atlantic salmon is strictly catch and release. 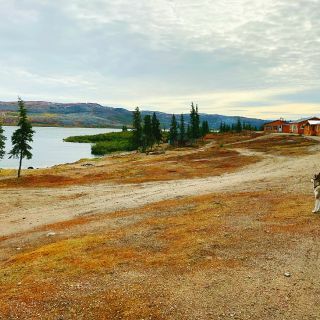 Imagine having all of the comforts of home in a log-style lodge overlooking a beautiful river with sweeping mountain sides and endless uninhabited terrain, in one of the most remote areas of the world! 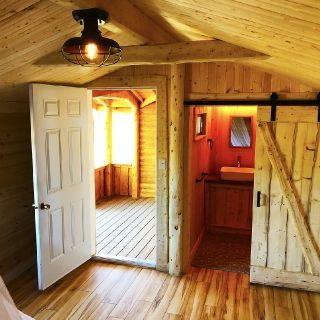 The best part - nobody else but your friends and family are there. 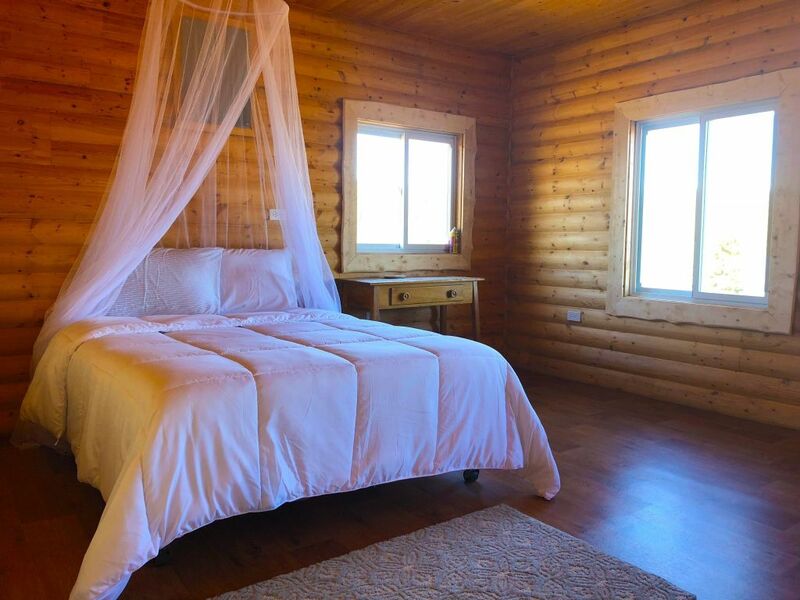 We can offer this to groups of family, friends and co-workers looking for a true private getaway from the everyday in an area far from the hustle and bustle of urban life, and right in the middle of breathtaking landscapes. 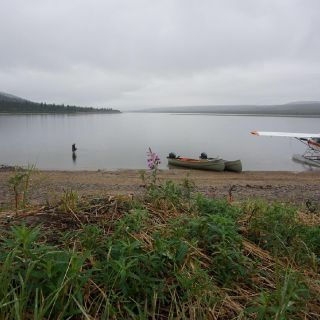 To put things in perspective, the closest town 130 miles to the North is Kuujjuaq, to the south 175 miles is Schefferville, and the city center of Montréal is 882 miles away. 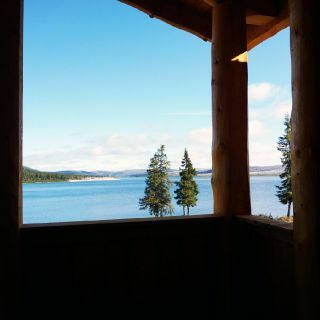 That's out there! 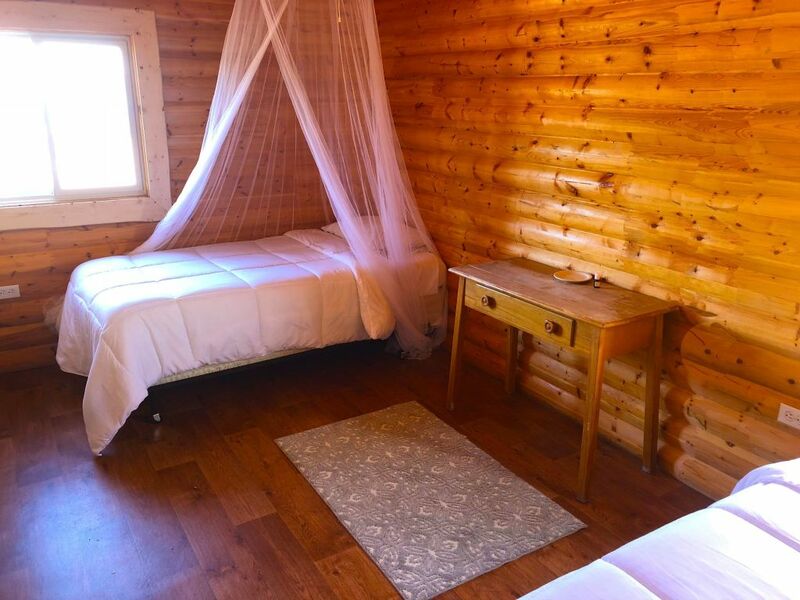 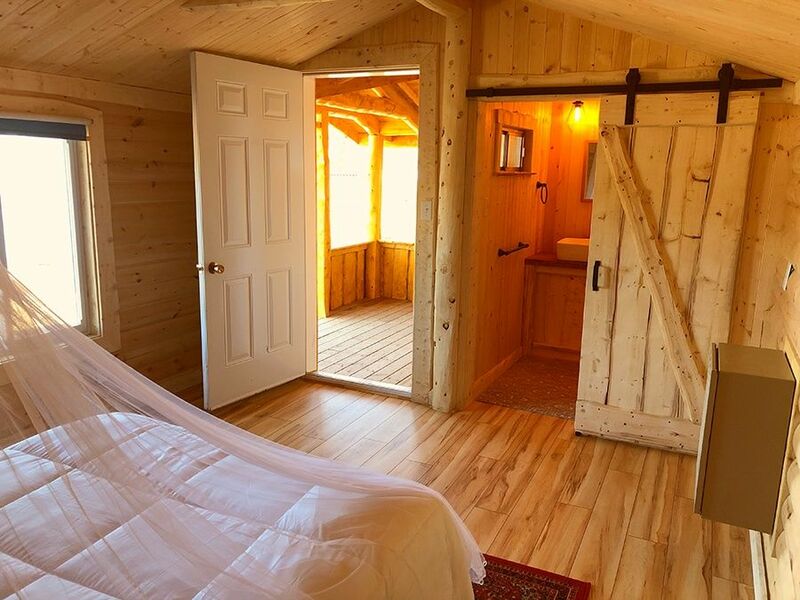 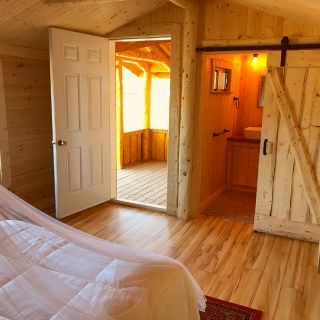 **Shower facilities including (2) 48" x 32" rainfall showers just steps away from the guest cabins. 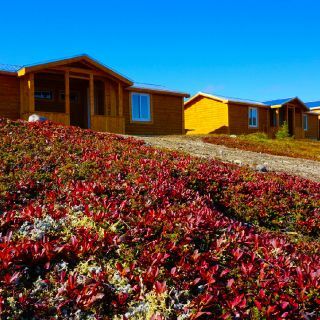 Wedge Hills Lodge can also be reached via WhatsApp by clicking here or by sending a message to +1 (450) 612-3832. 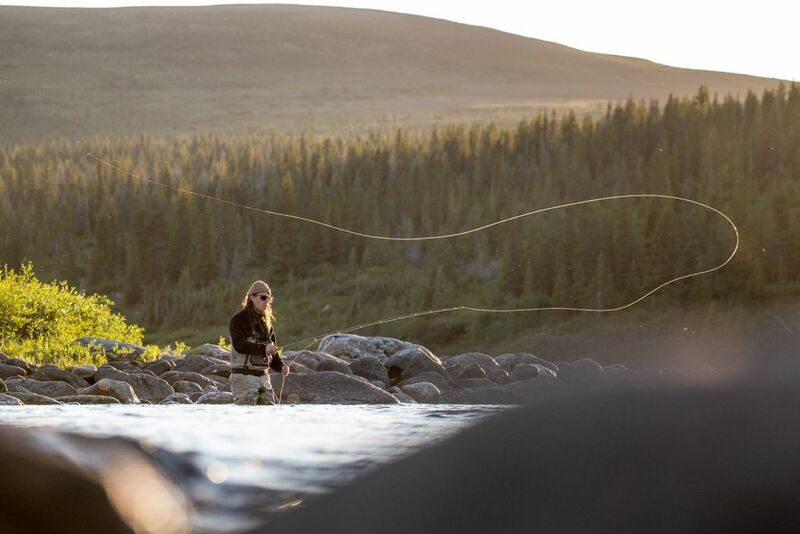 I’ve been lucky to get in touch with Amanda last May and I immediately planned a Fishing trip for August ends . 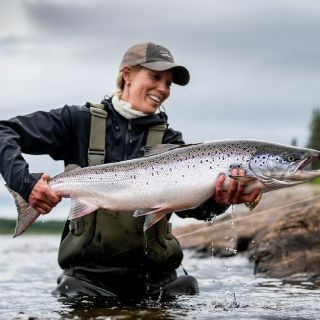 Atlantic Salmon flyfishing is one of the most grateful experience that any serious Flyfishermen should try at least once in their life. 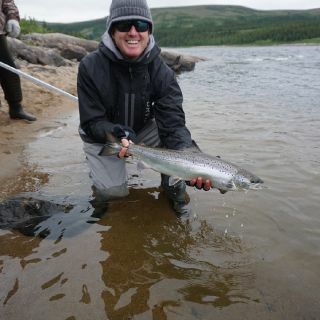 Wedge Hills Lodge is without a doubt the best destination I ever fished for the Atlantic Salmon . 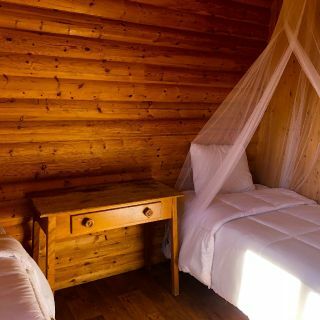 Really very nice and high quality , due to the touch of Amanda holder of the Lodge , the aspect of food and accomodation !!! 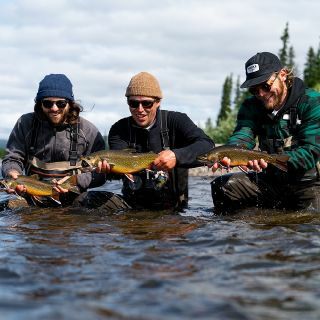 Can’t wait to live this wonderful adventure again ... along with friends and customers !! 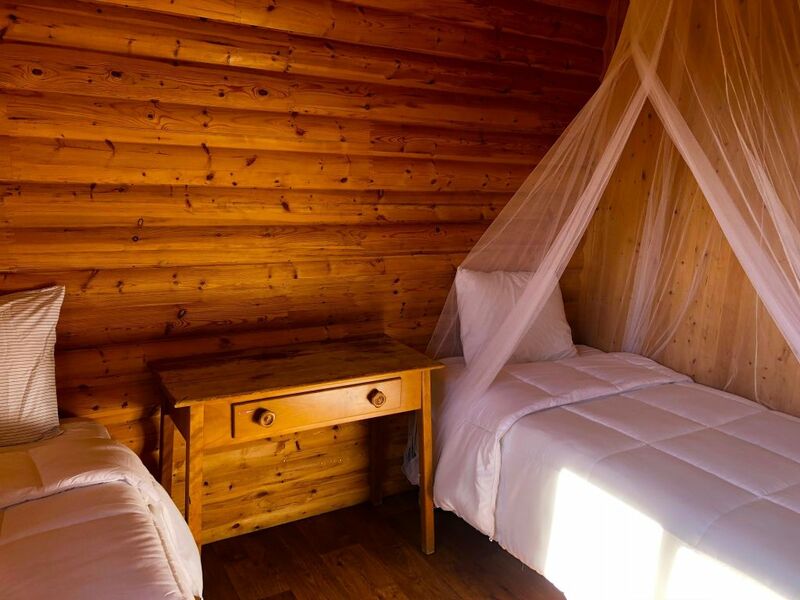 Thank you so much for joining us at Wedge Hills Lodge, Riccardo! 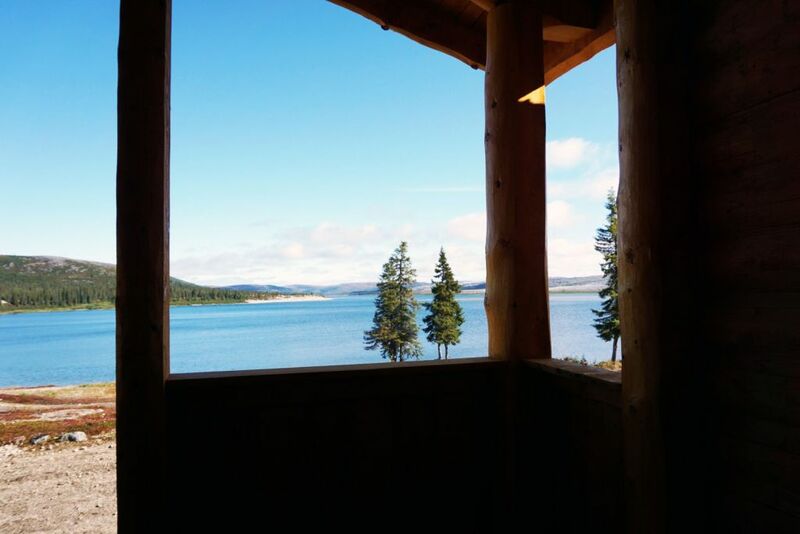 We certainly appreciate your business and look forward to seeing you again in the future! 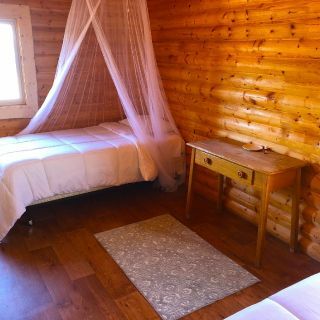 Sono stato in questo lodge.. beh che dire?! 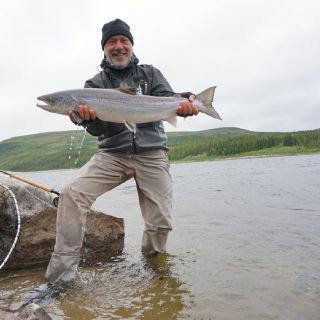 Una location fantastica ai confini del mondo dove la natura fa da padrone di casa... era la mia prima esperienza di pesca al salmone Atlantico!! 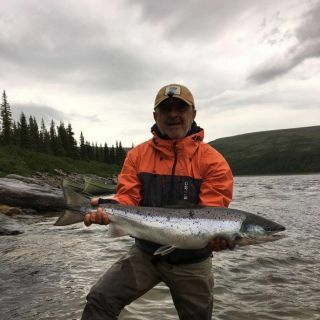 Mi sarei aspettato di tutto ma non di avere l’emozione di prendere queste frecce d’argento a galla .. davvero un’emoz Indescrivibile! 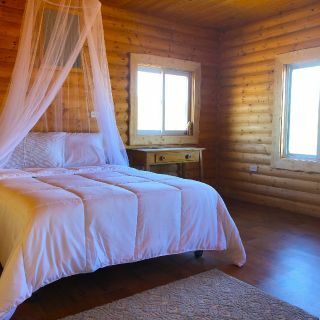 Il lodge offre davvero ogni un’accoglienza impeccabile con ogni tipo di confort e i proprietari sonodavvero molto ospitali. 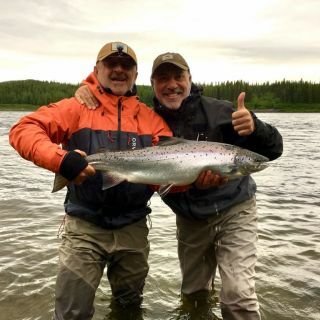 Un grandissimo ringraziamento va anche alle guide che ogni giorno guidavano, con abile maestria , le barche e ci portavano nelle varie pool di pesca! 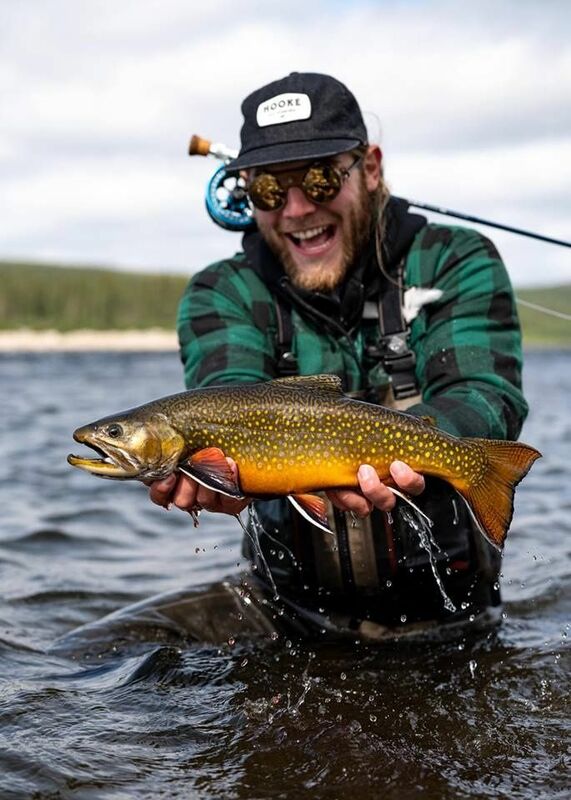 Concludo che dopo questo viaggio non esiste solo il mal d’africa ma esiste anche il mal di Canada!